LifeSource, a local non-profit organization in the upper Midwest that specializes in organ and tissue donations, was seeking to relocate their headquarters which was previously located in Saint Paul. The site which LifeSource selected for their new headquarters was located along West River Road North in Minneapolis. This 4.8 acre site had an extensive history of commercial and industrial use, initially developed in the late 1800s as a lumber yard; with subsequent uses as railroad maintenance facility and a foundry. At the time of the redevelopment, the majority of the site was vacant except for a single story slab-on-grade office / warehouse, partially occupied by a commercial laundromat. Our environmental analysis of the property found significant levels of contamination. The remedial action plan resulted in a total of 22,490 tons of contaminated soil being removed from an area of approximately 83,000 square feet, to depths ranging from 2 to 16 feet below ground surface. Sub-slab ventilation systems were installed as a cost-effective measure to minimize the risk of vapor intrusion. The successful clean-up of the site resulted in the transformation of a blighted eyesore into a new development that is home to the state-of-the-art LifeSource headquarters building. 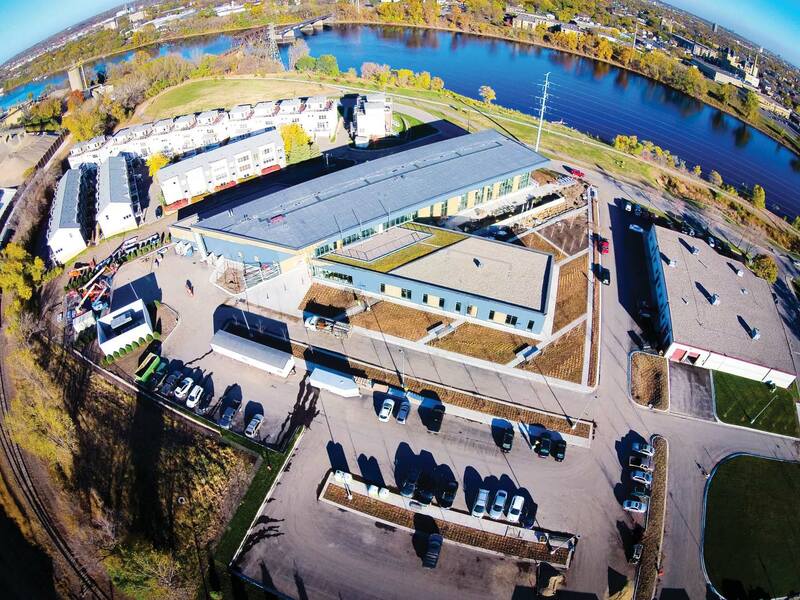 The project contributes to the redevelopment of the former industrial Mississippi riverfront on the north side of Minneapolis. In 2015, LifeSource was nominated as a finalist for a Minnesota Brownfields ReScape Award.